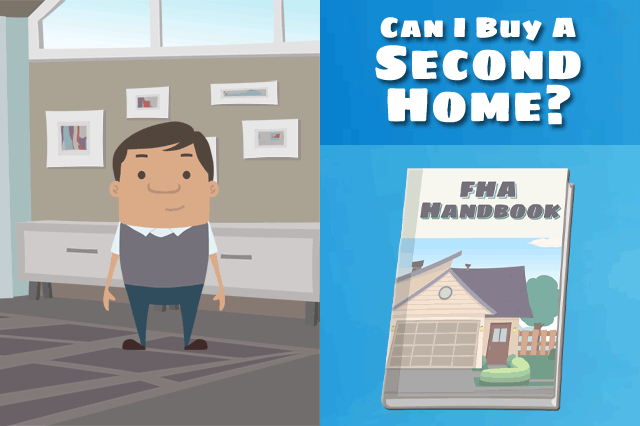 Do FHA loan rules permit an FHA borrower get a second FHA home loan? That is a question that’s very important to some-especially those who may be facing job relocation, an increase in family size, or similar issues. October 15, 2017 - Do FHA loan rules permit an FHA borrower get a second FHA home loan? That is a question that’s very important to some-especially those who may be facing job relocation, an increase in family size, or similar issues. FHA loan rules for the single-family loan program state that FHA mortgages are for owner-occupiers, but depending on circumstances, a borrower may be approved by a participating lender to buy another home--usually in response to a pragmatic need like a larger family or job requirements outside a reasonable commuting distance. What are the exceptions for the “single property” rule? An exception may be approved include increases in family size, or a borrower who is vacating a jointly owned property. In all circumstances that qualify, the application for the new FHA loan is processed on a case-by-case basis, so a borrower will need to work with his or her participating FHA lender to see what is possible. There’s nothing wrong with running your circumstances past a loan officer to see what that financial institution might be willing to do. FHA loan rules permit a non-occupying co-borrower to apply for an FHA home loan of her/his own as long as the new loan is intended to purchase a primary residence.